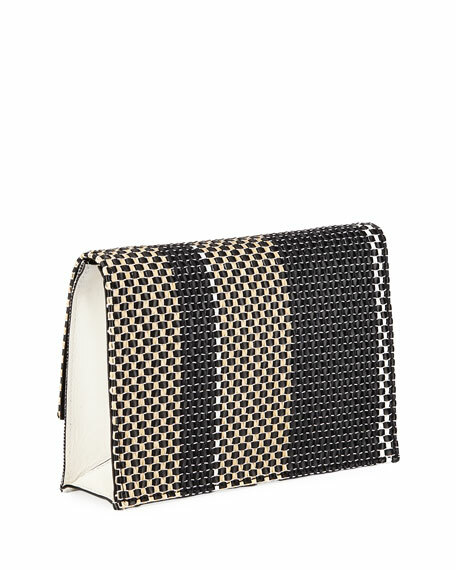 Proenza Schouler denim and woven fabric shoulder bag with leather trim. 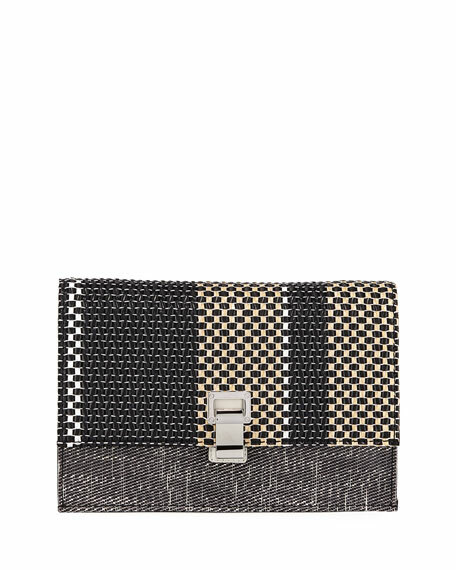 Flap top with metal flip-lock closure. 7"H x 11.5"W x 2.5"D.
For in-store inquiries, use sku #2384474.